The trial is scheduled to begin October 16, 2018 and is expected to last 12 days, ending October 31, 2018. In an effort to indefinitely delay expansion at one of the world’s largest lithium-tantalum mines, Global Advanced Metals has announced a trial date has been set to rule on a proposed injunction halting a lithium joint venture expansion plans. A trial date of October 16, 2018, has been set, according to Global Advanced Metals (GAM), in relation to an injunction the company sought at the Greenbushes project in Western Australia. 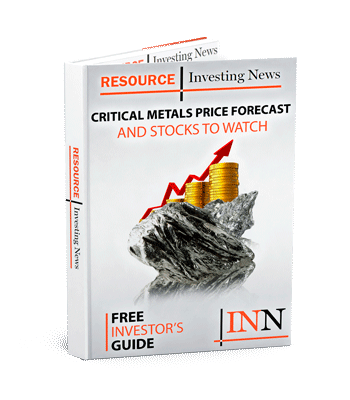 The global tantalum producer alleges expansion proposed by Talison Lithium (TSX:TLH), a joint venture between Tianqi Lithium (SZSE:002466), and US-led Albemarle (NYSE:ALB) would unfairly impact Global’s mineral rights. The private-equity backed GAM is considered among the top tantalum producers in the world. The company is a partner at the Greenbushes mine, where it retains rights to tantalum and other minerals produced at the site. Greenbushes, which is located in Western Australia, is considered the world’s largest hard rock lithium mine. According to Reuters, the JV company wishes to double lithium production at Greenbushes by mid-2019. The push coincides with an expected surge in lithium demand, a key component in the current EV battery formula. However, GAM wants to delay expansion until its rights to tantalum at the site are agreed upon and confirmed. “Contractually the expansion of Talison’s lithium production cannot be at the expense of GAM’s rights to its tantalum and all other minerals at Greenbushes,” GAM’s CEO, Andrew O’Donovan said in the press release. The announcement of the October court date follows two to other recent legal developments pertaining to Talison’s proposed plans. One, granting GAM an interlocutory injunction preventing Talison from pursuing an independent expert determination outside of this action related to GAM’s direct mine plan. The second, dismissing several applications from Talison-related companies to set aside the subpoenas filed by Global Advanced Metals seeking specific documents. The Greenbushes site is an extremely valuable project for GAM. The company processes tantalum extracted as a by-product of lithium production at Greenbushes secondary processing facility. Then it is shipped to company-owned facilities in Japan and the US. GAM then process the tantalum into critical components used in high demand devices, such as smartphones and tablets. Tantalum is also used in automobile computer systems, IoT enabled devices, as well as aircraft and medical applications. “The nature of the orebody at Greenbushes is such that the proposed expansion of lithium mining and processing in its current form will irreparably sterilize tantalum owned by GAM. The mining agreement between our two companies, which moderates this trade-off between lithium and the other mineral rights, is being ignored by Talison,” added O’Donovan, who also cited rapid growth in the tantalum sector as a reason to delay the expansion. O’Donovan went on to explain how increased demand would be a benefit to the Australian economy. “Over a decade ago, Western Australia was the largest single source of tantalum raw material in the world and GAM’s plans involving tantalum production from Greenbushes and other sources will once again place WA at the centre of global tantalum supply, thus introducing much needed supply stability to the industry and its end users,” he said. Roughly 40 percent of global tantalum production goes to the manufacturing of tantalum capacitors, small battery-like components found in many high volume electronic devices. Tantalum capacitors are ideal for packing a lot of power into a small package and also offer long term reliability in harsh conditions. Tantalum semiconductors make up 15 percent of market demand, and 20 percent is used in a super alloy instrumental in aircraft manufacturing and wind turbine blades. The fall trial dates were set by Acting Justice Jennifer Smith in the WA Supreme Court. The trial is scheduled to begin October 16, 2018 and is expected to last 12 days, ending October 31, 2018.